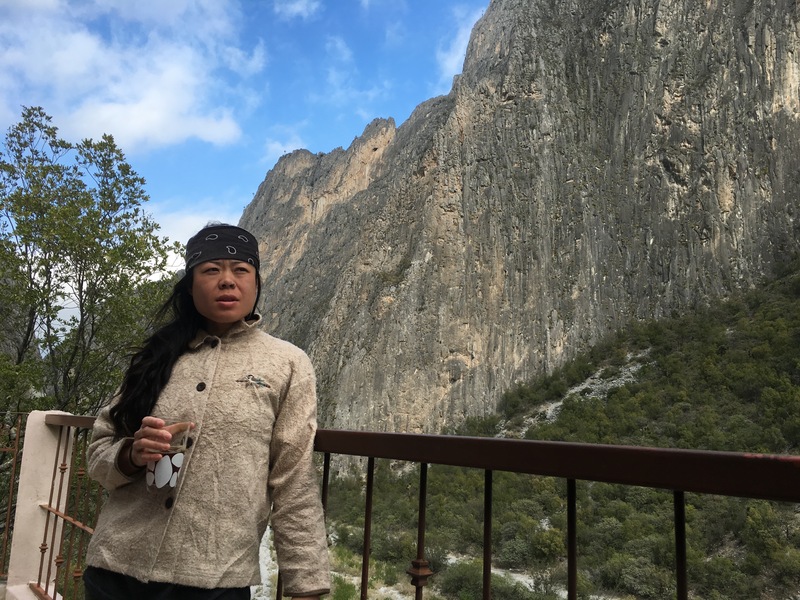 In Dec 2015, I travelled to Potrero Chico to meet up with some friends and get a head start on the climbing season. Usually in Canada I don’t start climbing until April, so this was a huge advantage. 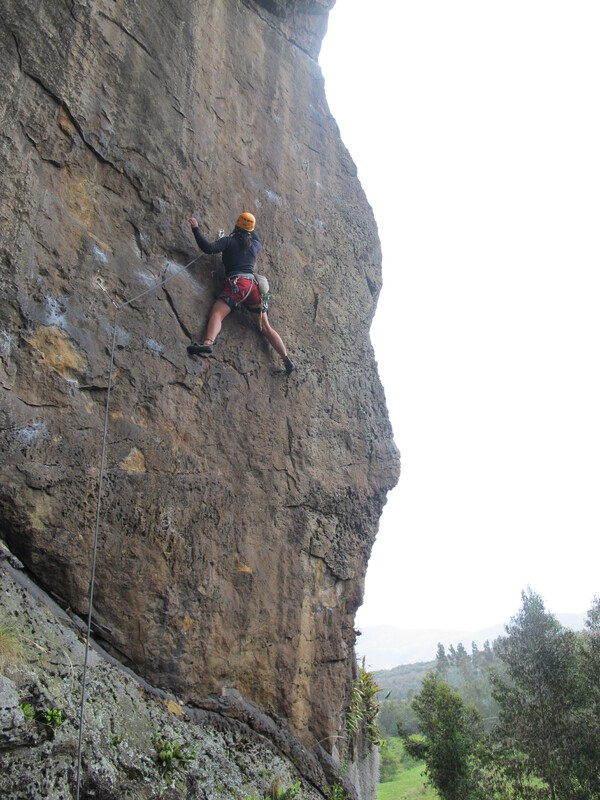 The only downside was… Earlier that year I put in very few days on rock, this included bouldering and gym and rope. I was pretty weak to begin with, but during the fall I started cross training in hopes of conditioning myself a little more. It must have paid off. For two months I casually hit the fitness gym doing simple things like, stretching, pull-ups, chin-ups, dips, push-ups, handstands, balance,core and the occasional machine thing. I’m not good with those but I tried my best. I spent maybe 45min to an hour each session and I was by no means pushing any limits of any kind. Anyways, during my month long trip to Potrero my goal was to just get back to where I was before. Redpointing and occasionally On Sighting 11’s. 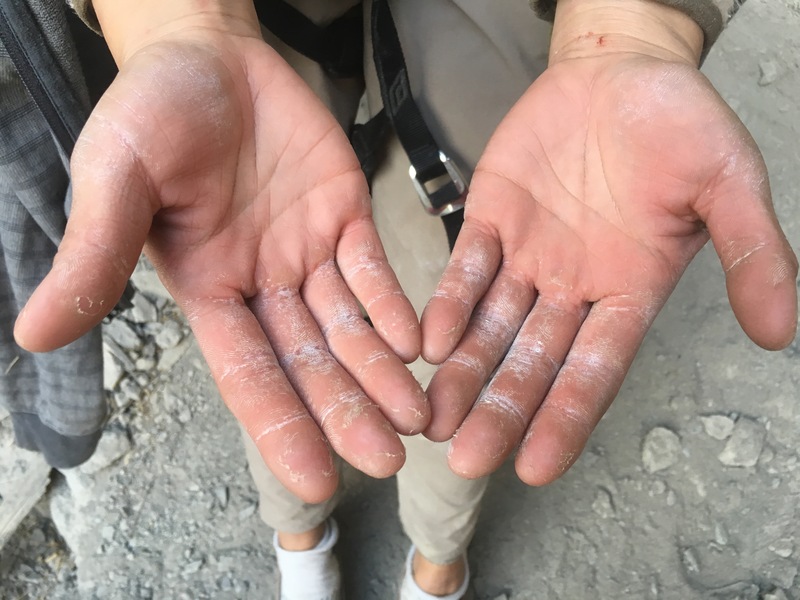 Lucky for me, my friends were super strong climbers so I actually didn’t have many opportunities to “take it easy.” We spent days either warming up on easy moderate 10’s or up in Surf Bowl working on things 12+. My friend Adam, that I met several years ago in South America, has always been an inspiration to me. He’s endured several injuries and battled chronic pain and yet he still crushes. He’s a super safe, super strong and I trust him with my life. I had seen a few guys send on it and it was the easiest thing on the wall, so what else am I going to do? I remember trying not to really think about it. I had taken some good falls over the past couple weeks so I wasn’t worried about that. It was maybe more that everyone below me was so strong and I was essentially working on something that is pretty much a warmup for everyone else. The first attempt was essentially just me trying to figure out the moves. My first crux was the third bolt and surprisingly it took me a long time to work it through. Probably 15 minutes and like 7 attempts? Once I figured it out it never became a problem again. Moving on. It was a pretty straightforward advance into cave where you can get a nice rest. Then, pulling out of the cave was always a challenge. I remember that I had a hard time being consistent with the sequence each time I tried it. You pull through a couple hanging “testicles,” until you reach this narrow ledge. Everyone climbs differently. We all have different strengths and weaknesses and besides varying in height, we all have different center of gravity. I’ve learned over the years… My beta is never like anyone else. That’s why my friends call me the “beta monster.” This is because I’ve been thrown so many different betas over the course of my climbing years that I have really learned to study body movement and how some people’s bodies move different than others. I’ve had to learn that my short person, technical style needs a whole new kind of mentoring. All these things I tried. Not working. I wasn’t even able to reach or see half the holds people were telling me to grab. 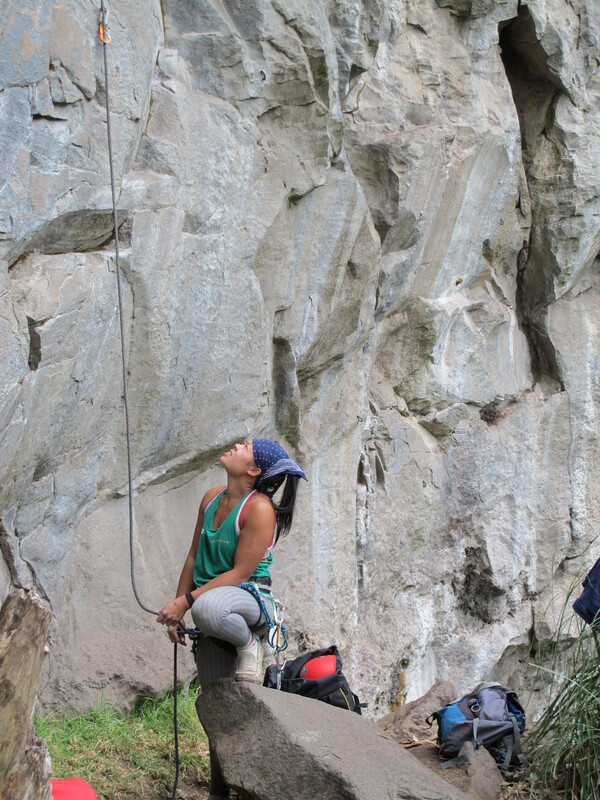 When you’re climbing… Inches seems like feet. And everyone always seems out of reach. View from Blue Fin watching this guy crush next to me. I was stuck here for a while. I don’t remember how long. I’m still on my first attempt but I was quickly getting tired of trying all these weird moves to overcome this ledge. I think I came down at this point. I couldn’t clip the next bolt. It just seemed so committing and I wasn’t even close to figuring out the beta. Second attempt. This time I blocked out the shouts from below and I took a breath. I’m just going to let my body figure it out. I grabbed a medium edge on the ledge with my right hand and matched with the left. My right toe hooked the ledge while my right hand bumped to the vertical seam halfway between my face and my foot. I bumped and smeared my left foot and walked my right toe closer to my crotch along the ledge. I found a tiny edge to knee bar – yes I knew barred on the Blue Fin ledge – and it gave me enough purchase to reach my right hand onto the next pocket. I gaston my left hand and throw it to the next pocket. Followed by some easy frantic moves I clip the next bolt. Yes. YES. Yes! I figured the crux. Everyone else had been heel hooking and just crossing over into those pockets. I have no clue how they did that but I was stoked to find that I found another way. At this point I took a break. The next section wasn’t overly difficult. 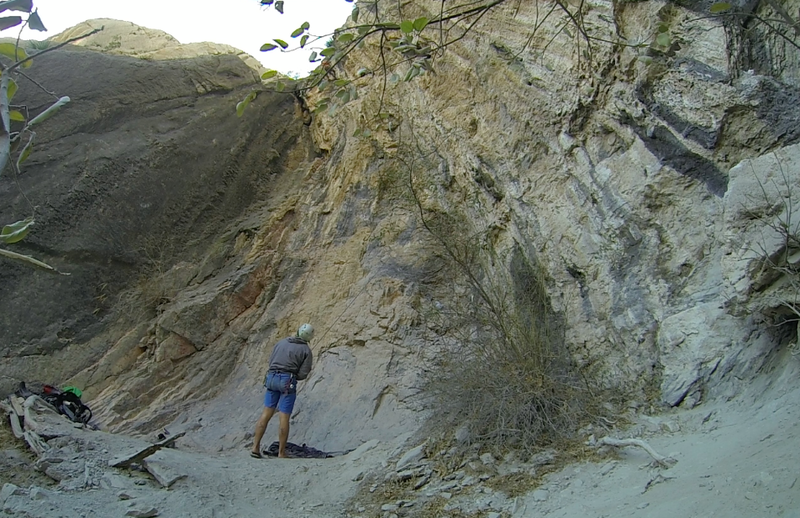 The main reason it becomes difficult is because after pulling the crux there’s a long sequence of powerful moves. Like three bolts worth of just powerful moves. I think I only reached the anchors once or twice out of the 5 times I attempted Blue Fin. The feeling where you don’t think about falling, you don’t think about how you’re not going to get it and the feeling where all you hear is the sound of your breathing. Sometimes I falter for a fleeting moment where I start to think about – no don’t think just climb. And that’s how it was. Movement after moment, I felt tired but strong. My hands wanted to open but I would breathe and the feeling would pass. 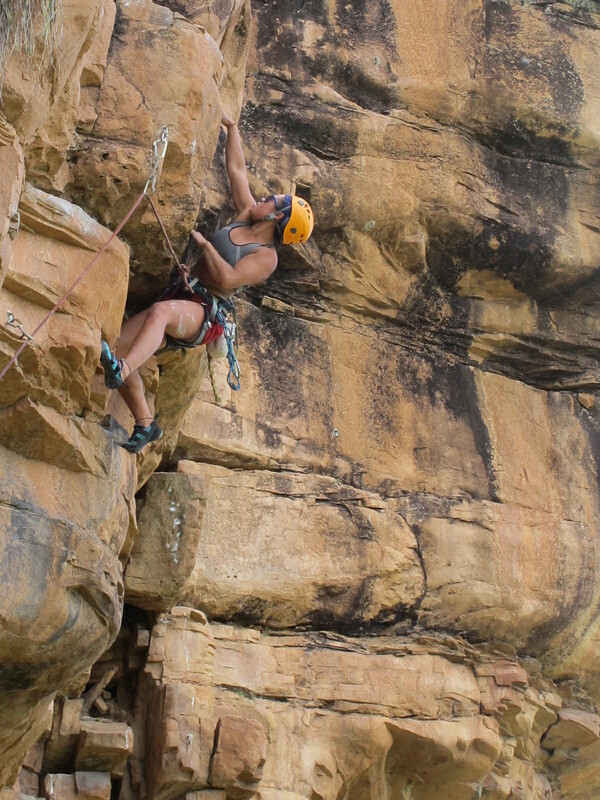 I remember feeling a moment of weakness near the top, wondering if my hands were going to open. I forced my mind to engage my hands and just relax enough to hold on and not fall. Often times its when you hold too hard that’s when you let go. I slipped. I had grabbed with the wrong hand and I couldn’t get enough purchase. My heart sunk. For a moment I thought “nooo!” But instead of letting go I bumped up the tufa to a smaller hold. It was a worse hold but because I kept moving it was enough to push through. Two more moves…. My heart fluttered because this is the moment you hold you’re breath because you know you’ve got it but you don’t want to jinx it. I did it. 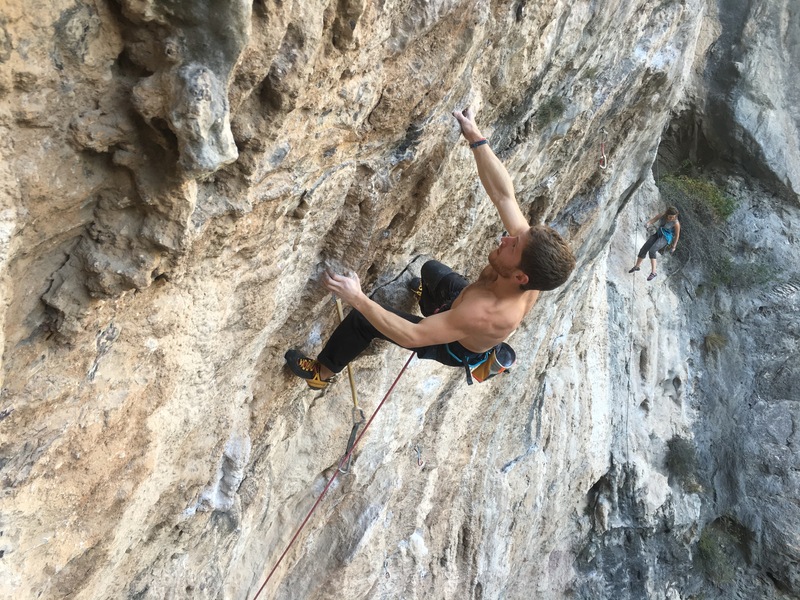 I sent my first “official” 12a. 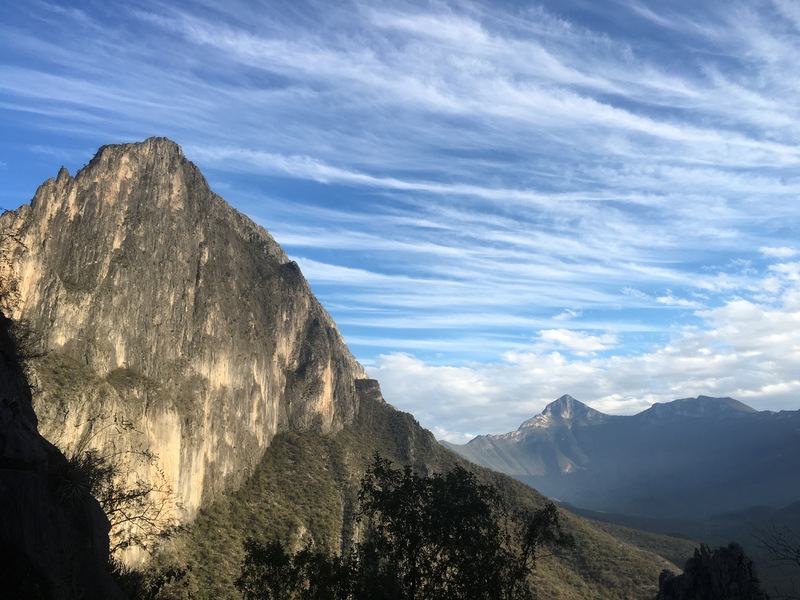 This entry was posted in Adventure stuff, Climbing, Inspirational, Travel and tagged 12a, climbing, mexico, potrero chico, project, success stories by melbaseto. Bookmark the permalink.